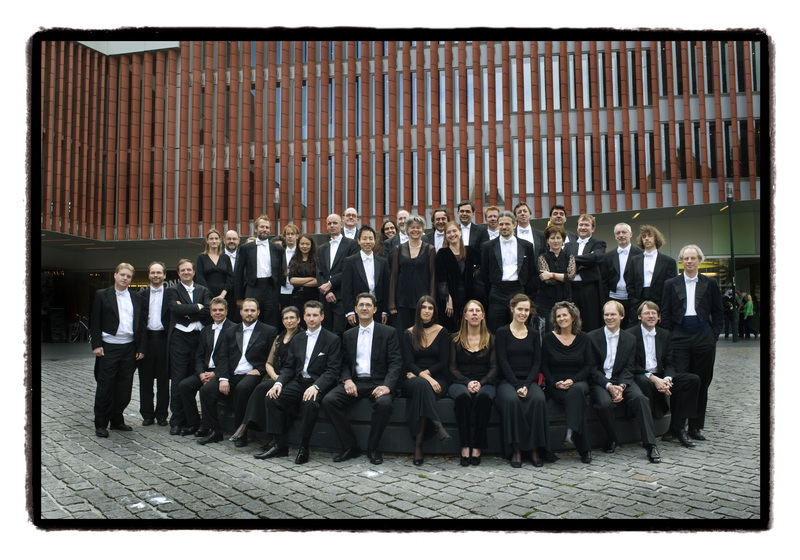 Founded in 1987 by Jos van Immerseel as a musical Petri dish to cultivate the results of his research into music of the baroque era, Anima Eterna Brugge evolved from a compact string ensemble to the full-bred symphonic orchestra that it is today. Along with the musical forces, the repertoire expanded from chamber music to concerto, symphony, dance and opera, and from Bach to Mozart and Haydn. About ten years later, AEB found itself at the threshold of romantic repertoire: time to tackle Mendelssohn, Beethoven and Schubert, and – later on – Saint-Saëns, Mussorgsky, Liszt, Franck, Strauss, Ravel and Gershwin! The consequent use of period instruments, the permanent direction by founder-inspirator van Immerseel, a project-based setup – that allows for inviting the best musicians to join the orchestra’s core, depending upon the specific type and scope of the project – and respect for the composer’s intentions, are at the core of the orchestra’s vision. When embarking upon a new project, dogma’s and conventions are rigorously thrown overboard – everything is up for discussion and revision: it’s the source that speaks, the director who listens and the musicians who translate the whole through their instruments. AEB walks the line between rupture and fantasy, between freedom and necessity. This means that – now and then – musical or musicological principles are shaken at their foundations: not as an act of provocation, but as the effect of a careful deconstruction and reconsideration of the score following the composer’s guidelines. The results speak for themselves: music in Technicolor, fresh and spicy, clear of disguises and dead weight – pure and ‘unheard’. Along the way, AEB has had the pleasure to be joined by musical soul mates such as Anne-Teresa De Keersmaeker / ROSAS and Philippe Herreweghe / Collegium Vocale Ghent, and by outstanding soloists either or not stemming from its own ranks. It’s always a pleasure to make music with Claire Chevallier (piano), Midori Seiler (violin), Sergei Istomin (violoncello), Lisa Shklyaver (clarinet) and Thomas Bauer (baritone) – to name but a few! The story of Anima’s success has been co-written by other musical partners too: the orchestra is ‘ensemble associé’ at the Opéra de Dijon, since 2003 in residence at Concertgebouw Brugge and from 2015 onwards at Beethovenfest Bonn. Even as a 25-years old, AEB continues to grow: the repertoire keeps on expanding, well into the 20th century, and the range of recordings is still growing too. The iconic integral recording of Schubert symphonies – recently re-issued! – and the Beethoven-series are only a few of Anima’s groundbreaking projects. Since 2002, the prestigious Collection Anima Eterna is hosted by Parisian label Zig-Zag Territoires (Outhere). Upcoming release in 2014 is the long-anticipated live-recording of Carl Orff’s Carmina Burana. With more than 20 discs, this series has attracted attention and gained critical acclaim worldwide. The back catalogue of AEB has won many awards over the years, among which the Preis der Deutschen Schalplattenkritik, a nomination for the BBC Music Awards, the Caeciliaprijs, Gramophone’s Editor’s Choice Award and a Diapason d’Or de l’Année. They testify to the lasting relevance and success of the orchestra, that consciously opts to keep on following the path of musical innovation. AEB loves to be an adventurous pioneer, indeed, but only on its own terms: iconoclasm concealed as artistic renewal is of no interest at all. What AEB does stand for, is integrity in performance, firmly rooted in research and analysis, preparation and professionalism, a logical approach and enthusiastic attitude and tons of musical passion and pleasure.